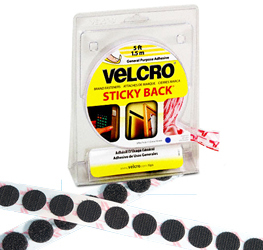 We offer a large selection of Velcro Brand Sticky Back Coins and Tape. You can search many types of Velcro Brand Sticky Back Self-Adhesive Coins and Velcro Brand Sticky Back Self-Adhesive Tape. 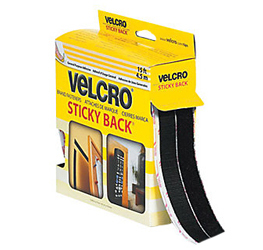 Velcro brand packaging closure self-adhesive coins is a terrific alternative to tape, glue, or nails! Adhesive-backed pressure-sensitive hook and loop coins can be fastened again and again.